'My friend and Pharmacist allegedly killed by the wife. 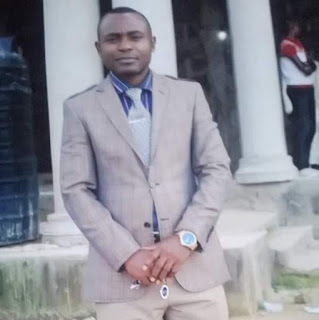 Alloy my amiable friend and health provider is dead. 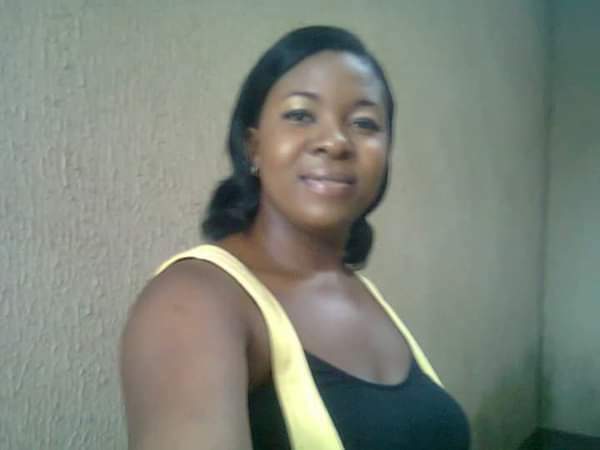 I met Alloy in 2009 when I moved to the Oyigbo Expressway axis of Port Harcourt and we were friends at first sight. Alloy is from Eheme Mbano and the owner of the biggest pharmacy at the Oyigbo Expressway axis. I can remember vividly our first day of meeting. I had a stubborn cough and have been to the Port Harcourt Teaching Hospital but was still coughing. Alloy listened to the dry irritating cough and prescribed Beehive Honey cough syrup and some antibiotics and I was relieved. Alloy is blessed with an affable wife and four beautiful kids. He's quite comfortable and travels abroad several times a year for fun and business. Trouble started when Alloy's older sister had accommodation crisis and she had to move in with the Alloys. Alloy's wife vehemently refused that the sister stay in the guest house. Alloy's house is a three bedroom bungalow with a two bedroom guest house behind. The guest house is vacant but his wife insisted that the sister and kids should keep their properties there but sleep in the sitting room of the bungalow. Alloy pleaded with her to allow the sister stay in the guest house but the wife refused insisting that staying in the guest house would make her stay permanently with them and that sleeping in the living room will make her aware she's a guest. Alloy registered the wife in a gym as she was getting out of shape and the schedule was three days in a week. Since January this year she goes to the gym daily. This is a woman Alloy bought a 2013 Toyota Corolla sedan for and gives a handsome monthly allowance. She lacks for nothing. Monday to Saturday she'll never be at home obviously staying away from the house because of Alloy's older sister. Alloy had gotten an estate agent to look for a two bedroom apartment for her. Anyway on April 1st Alloy went to the gym to see her personal trainer and asked why the change of schedule and why the wife will be at the gym six days in the week. The gym management denied any change of schedule and insisted that she only comes to the gym three days a week.
" I was at the gym today and I was told you only go there three days in a week. Why are you lying? Why do you go the other days?" "So, it has reached this stage where you are monitoring me?" the wife shot back. "Tell me what's happening or are you cheating on me?" Alloy angrily demanded. "You're calling me a harlot abi? You yeye man". "I'm sorry for slapping you. In twelve years of marriage I have never hit you. You were choking me and I was losing my breath. Abeg." "I'll never forgive you. Useless man. I'll deal with you. You'll know I'm an Umuahia woman". Alloy's older sister and Alloy's pastor from Redeemed Church were called by Alloy to beg her but she was still fuming and baying for blood. The next day as Alloy was driving to the gate of his compound at about 6pm in the evening four young men intercepted him and dragged him out of his Toyota Prado SUV and one of them said, "So, you are not afraid. You beat up our sister. We'll deal with you." The four miscreants beat Alloy black and blue. They kicked him in the ribs and groin. At the screams of Alloy neighbors ran to the scene and the criminals fled. Alloy was rushed to the hospital and given treatment and discharged from the hospital around 10pm same day. Alloy called me the next day and I drove down to see him at the pharmacy and he narrated the ordeal he suffered at the hands of the hoodlums the previous day. He wasn't looking too good but I never feared that the beatings he received would be fatal.